This Tour Professional staff bag offers all the storage and organisation you require. Made for to Pro level golfers, and branded with Tour authentic logo`s to give extra appeal as you play golf. 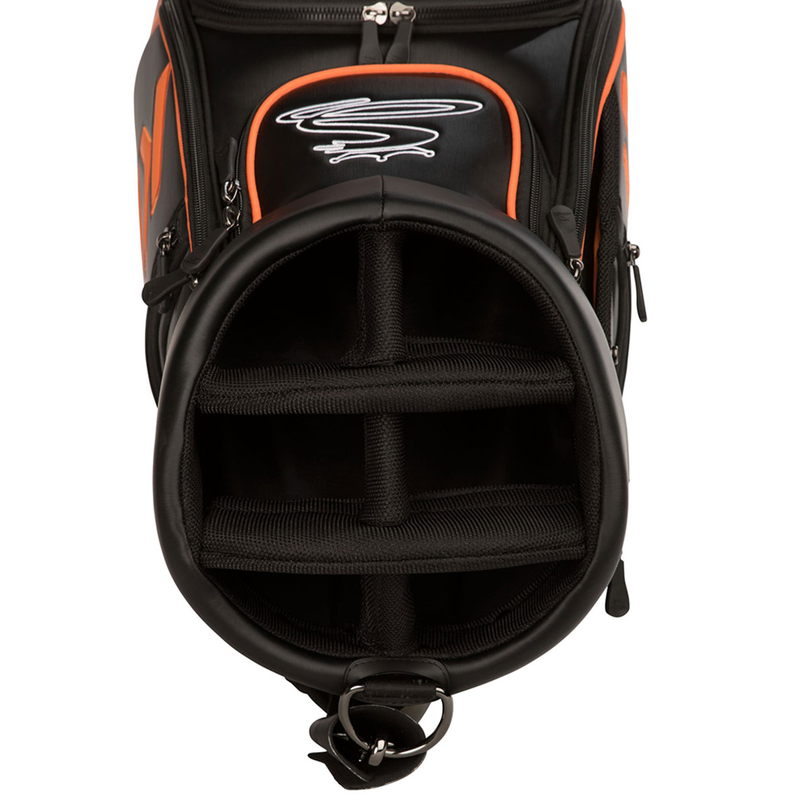 The bag has a large top cuff, with 6-way dividers to accommodate all of your clubs, full length to ensure better club management. 7 spacious pockets in total offer ample storage space, these include a dual apparel pockets, a fleece lined valuables pocket and a customisable belly pocket, perfect for personalised embroidery. 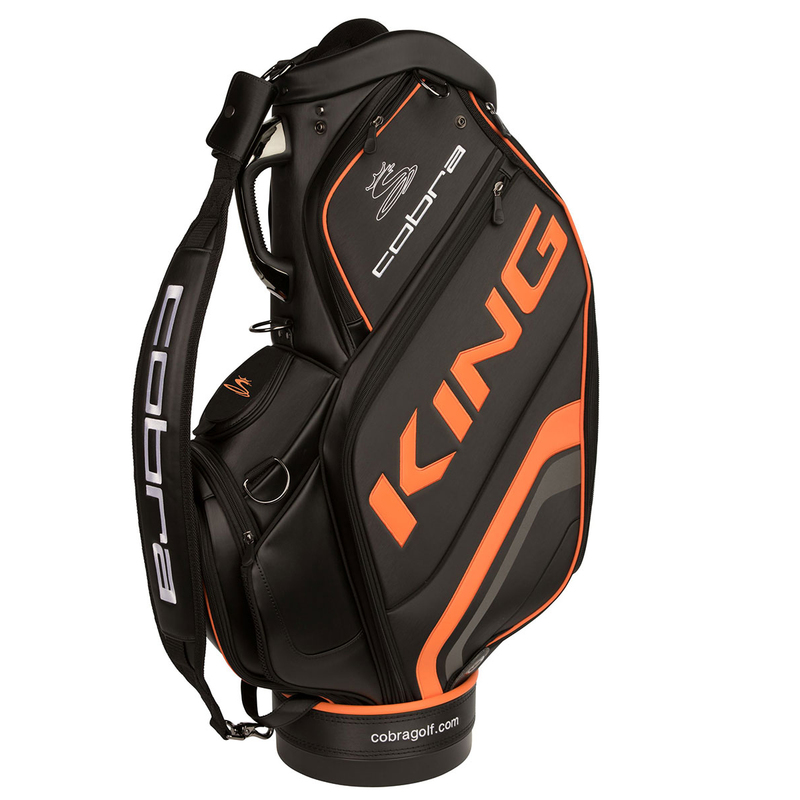 The bag has been constructed with a highly durable Polyurethane material, with Tour authentic logo`s for long lasting good looks, and comes with a single 3- point padded bag strap.